January 23, 2014 | Lens cap....off! The only thing good about working late tonight was that I had a dark road to myself long enough to try out the night time setting on my camera (one of those settings I discovered when I *finally* read my user’s manual!). 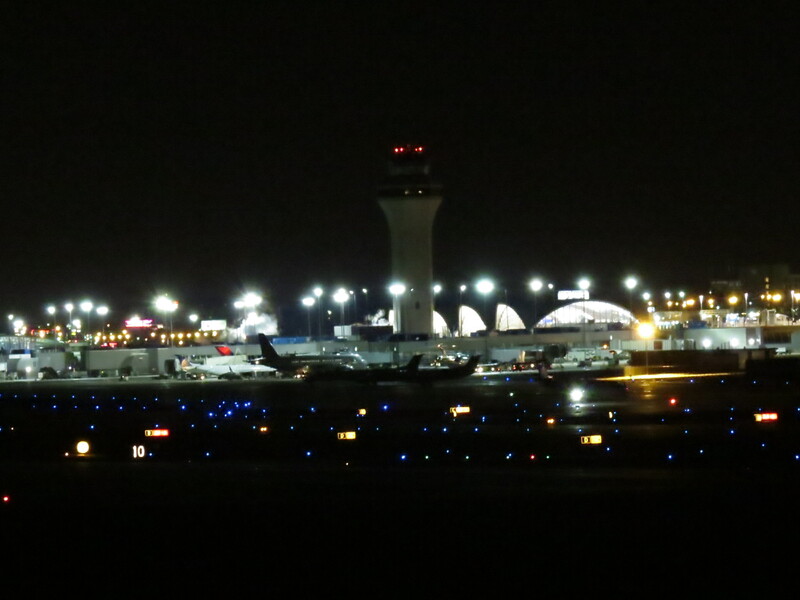 I first tried taking a picture of one of the runways near my work, but I think I needed to have a tripod handy to get a clear, steadied shot. Instead, I directed my attention to the terminal and placed my camera on top of my car to steady the camera. It’s my first “clean” night time shot, and I’m pretty happy with it. I’m planning on peeking at the stats on the picture to see what the camera’s setting were for this; maybe I can replicate it by hand. If only one of those aircraft would take me to a warmer place. I have a hunch we will see more of these , because the nights are fair drawing in .